Bhumibol Adulyadej is the king of Thailand. He is the longest ruling king. He died last week. People move his body through Bangkok(曼谷) to the palace. Thousands of people watch the procession. Most people cry and pray. The king ruled over Thailand for 70 years. From all the kings and queens in the world, he rules the longest. Most people do not know other kings in their lifetime. People put the king’s body in the temple. Official mourning will continue for a year. 1. 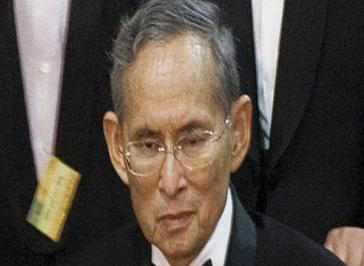 Bhumibol Adulyadej is from _____. 2. When did the king die? 3. How long did the king rule Thailand? 4. What does the underlined word “mourning” mean in Chinese?